4) Which entry point are you? 10) Social Security will not work (look at Greece). People are living longer too now. 12) Investing $1,000 annually (9k) from age 21-30 and letting it compound, or $1,000 per year after 30 years old (35k). Early investor will win. 13) Invest while young and seek safer investments when older. Jason explores some ways to get out of a bad property then he interviews author/attorney Mark Kohler about his book “Lawyers Are Liars: The Truth About Protecting Our Assets.” Mark is an attorney, CPA and entrepreneur who has owned numerous businesses since high school, through college and even as a professional. Mark’s principal career has been as a partner in the law firm Kyler, Kohler, Ostermiller, & Sorensen, LLP. He specializes in the areas of business, estate and tax planning. Mark owns several commercial real estate projects and loves the people, transactions, and everything to do with real estate. You will be pleasantly surprised at how exciting and interesting a discussion regarding tax and legal planning can be. Jason and Mark will distill complex legal and tax strategies to common layperson terms, adding interesting stories and anecdotes. 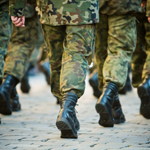 Some lawyers, and others who are not lawyers, use fear tactics to sell the unsuspecting public various asset protection structures or strategies that are outright lies. Until now, no other professional has been willing to call out the frauds and cheats in this powerful industry where self-professed experts and do-it-yourself hacks wreak havoc on the innocent just wanting to protect their assets. This episode we will expose the liars. Undoubtedly, this book will become a desktop resource for not only the average middle income American wanting to protect his or her assets, but attorneys, estate planners and financial professionals guiding their clients through this complex area of the law. Learn the best kept secrets in asset protection planning, learn the truth about Nevada corporations, off-shore planning, land trusts and all of the so called silver bullet strategies! Mark and many other great speakers will be presenting at “The Masters Weekend: A Gathering of Experts”. Most of us spend lots of time shopping around for the best deal on the things we buy while spending more money on taxes than anything else. Why not “shop around” to save money on life’s single largest expense? Join Jason as he talks with famed CPA, Diane Kennedy, about the tax strategies of wealthy real estate investors and business people. Diane Kennedy, a preeminent tax strategist, is the founder of USTaxAid Services, a leading tax firm that works with clients throughout the U.S. and founder of TaxLoopholes, an award-winning online tax education site. Diane is the author of The Wall Street Journal and Business Week bestsellers, Loopholes of the Rich and Real Estate Loopholes, and co-author of The Insider’s Guide To Real Estate Investing Loopholes, The Insider’s Guide to Making Money in Real Estate, The Insider’s Guide to Tax Free Real Estate Investing and Tax Loopholes for eBay® Sellers. Join Jason Hartman as he interviews Stu Silver, The Mobile Home Man, regarding his mobile home and mobile home park investing strategies. Learn the do’s and don’ts about investing, how to protect yourself from being taken advantage of, to know when you’re getting a good deal, and even how to inspect your mobile home to make sure you don’t find any unwanted surprises. 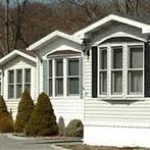 Stu says there are over eight million mobile home parks in the United States and you can get a good deal on a mobile home, or even possibly get one for free. Stu’s first rule of investing is, “Protect yourself at all times!” For more details, listen at www.commercialinvestingcenter.com. Stu Silver has been investing in real estate for 30 years and has specialized in mobile homes for the last 18 years. 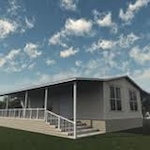 He is known as The Mobile Home Man or Uncle Zally, and has authored three books (under the penname Zalman Velvel), Mobile Home Wealth, Mobile Home Wealth Part 2, and How to Get a Good Deal on a Mobile Home or Even Get One For Free!. He also features his Mobile Home Wealth Systems on CD’s and does live Mobile Home and Real Estate Training. Additionally, Stu writes a mobile home blog called “Kangaroo Kronicles.” He holds the CCIM designation and is a licensed real estate broker, mortgage broker, auctioneer, mobile home dealer, and former real estate appraiser. He has trained more than 5,000 people in real estate investing in his 3-day bootcamps and live on the internet. Do you want to know the secrets of living longer? Join Jason Hartman on this episode of Holistic Survival as he interviews Leslie Martin, Ph.D. and Howard Friedman, Ph.D., authors of “The Longevity Project.” Find out who lives longest and why. The answers may surprise you! Visit: http://CommercialInvestingCenter.com. HOWARD S. FRIEDMAN is Distinguished Professor at the University of California in Riverside. LESLIE R. MARTIN is Professor of Psychology at La Sierra University, and Research Psychologist at UC Riverside. They met when Leslie began graduate study in 1991 at UC Riverside, where she became a key and continuing associate in Howard’s then-launching lifespan longevity studies. Here are some facts about their work, their interests, and their qualifications. Their scientific research on health and longevity has been published in over 150 influential and often-cited scientific articles and chapters in leading books and scientific journals. In addition, Professor Friedman has authored or edited ten academic books about health and one prior trade book, The Self-Healing Personality. His textbook on Personality is now in its 5th edition. He served as Editor-in-chief of the Encyclopedia of Mental Health, which received recognition as a “Best Reference Source of 1998” from Library Journal. His edited book, Foundations of Health Psychology was named a CHOICE Magazine Outstanding Academic Title. Professor Martin’s books include Health Behavior Change And Treatment Adherence, and a textbook in health psychology. Leslie and Howard have spent 20 years collaborating on the research described in The Longevity Project. The study tracks the loves and lives of 1,500 Americans from childhood to death. Jason welcomes his friend and mobile home investing guru, Corey, to this episode of The Commercial Investing Show. Visit: http://CommercialInvestingCenter.com. Adding another entry to our favorite success stories, Corey started his real estate investing career in 1993 by selling his jet ski to raise enough money for a down payment on his first deal. Since then, he went on to build a sizable portfolio of real estate, including apartments, single family homes, self-storage facilities and mobile home parks. Over the past several years he has focused primarily on mobile home parks and self-storage facilities. Corey regularly shares his expert knowledge and enthusiasm for the industry at real estate clubs, national seminars and universities about investing in his favorite avenues of real estate investing: mobile homes, mobile home parks and self-storage units. In this episode, Jason talks with Liz Fendly of Allied Financial regarding commercial financing. Visit: http://commericalinvestingcenter.com/category/podcast/. The lending regulations have changed drastically within the past two years, causing investors quite a head ache when attempting to buy America’s most tax-favored investment, income properties. With a self-directed IRA or real estate IRA you can be in control by investing your retirement funds when, where, and how you want. On this episode of The Commercial Investing Show Jason talks with Jennifer Williams, an expert from The Entrust Group about the current investing opportunities with your IRA and 401k. Don’t miss the latest Roth IRA conversion changes and cutting-edge strategies to invest in real estate! On this episode, Jason talks with Jeff Conrod of the Apartment Owners Association. Visit: http://commercialinvestingcenter.com/category/podcast/.